This lesson provides an outline, for your reference, of Romans chapters 9 to 11. In these chapters Paul teaches us about Israel’s relationship with God. Paul declares his genuine and deep sorrow. Paul recites the priveleges Israel despised. God still has a people, an Israel (Romans 9:6-8). Being a fleshly descendant of Israel (Jacob) does not make one a true Israelite. The Israel of God consists of children of the promise, (ie all believers). God’s purpose and promise (Romans 9:9-24). Recall God’s promise to Abraham, Isaac and Jacob. God’s purposeful choices have been unquestionably merciful and just. Illustration of the potter and the clay. God’s called out people come from among both Jews and Gentiles. God was able to call together his sons from among all peoples. These included a remnant of Israel, fulfilling prophecies of Isaiah (Isaiah 10:21-22, 1:9). God made this possible through a righteousness which is by faith. This came about through Christ, who although a stumbling stone for some, became the sure foundation stone for believers (Isaiah 8:14, 28:16). Why Israel failed (Romans 10:1-7). They had a zeal of God but not according to knowledge. They sought to establish a righteousness of their own. They did not recognize Christ as the end of the law. They did not have the righteousness of faith (in Christ, his death, and his resurrection). Restoring righteousness to Israel (Romans 10:8-21). It is from the heart, a genuine faith in Christ and a genuine confession of him, that a person is justified and saved. There is no distinction between Jew and Gentile. All who call on him (through Christ) will be saved. The preaching and heeding of the gospel is the means by which faith is produced. Verses 18-21 are a rhetorical passage declaring that God now defines Israel as all who seek, believe, and obey Christ. If this angers the fleshly descendants of Israel then God replies that they were an obstinate and disobedient people. Grace for remnant who believed (Romans 11:1-6). Some of Israel have believed, and these are the promised remnant. Just as God kept a remnant in Elijah's time, so he has kept a remnant in Paul's time. This has come about by the grace of God. Condemnation for the rest who were darkened (Romans 11:7-10). God is the cause of Israel's spiritual blindness and deafness, but only in the sense that his message hardens the hearts of those who obstinately reject it. God’s word polarizes people. God regards anyone as rejecting his word who hears it but will not heed it. The more a person rejects God’s word, the more hardened against it he becomes. Gentile believers accepted in their place (Romans 11:11-16). Paul is optimistic. Israel's transgression and rejection has raised an opportunity for the rest of the world's salvation and reconciliation. Israel itself may thus be moved to return to God, and through believing the gospel some of them will. Paul regards the believers among the Jews as the sour dough that leavens the new dough of the Gentiles, or the root and stump from which the Gentiles may shoot as new branches (v.16). This illustrated by the husbandry of an olive tree (Romans 11:17-24). Branches of the old olive tree were broken off. These are the unbelievers among the Jews. New branches were grafted in from a wild olive tree. These are the believers among the Gentiles. The new branches must not be arrogant because they have been grafted in where other branches were broken off. After all it is the root and stump that nourishes and supports them. God can cut out branches that he has grafted in, if they do not continue in their faith. God can also graft back in branches that he has cut out, if they do not continue in their unbelief. 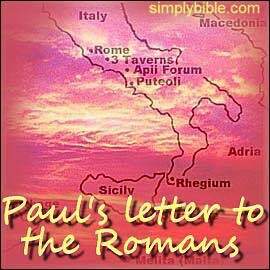 Paul's conclusion concerning Israel (Romans 11:25-32). God’s plan reflects his special love for Jacob's descendants as well as his great love for the whole world. Gentiles should humbly view the failure of Israel as an opportunity for God to grant mercy to the Gentiles. Jews should humbly view God’s mercy to the Gentiles as a reason for God to all the more grant mercy to the Jews. God will show mercy to all who believe and obey his word. God will show severity to all who reject and disobey his word. These conditions of mercy and wrath are unchangeable and irrevocable, and are the the same for everyone. How wonderfully deep is God’s wisdom, knowledge, and plan. To Him be the glory forever, Amen. —Summary of the twelve Times of Israel. This is the first of three pages covering olden times right through to the future. Tap the title above, next to the arrow, to go to that lesson with a link back to this page. —Various mountains are mentioned in the Bible. In this lesson we consider three of them: Mount Ararat, Mount Sinai, and Mount Zion. Well, it's not so much the mountains that we consider, but the marvelous events that took place on them. We especially consider three things in each event: salvation, a sacrifice, and a promise. Tap the title above, next to the arrow, to go to that lesson with a link back to this page.